Representative of a successful line of high range Laser Rangefinders. 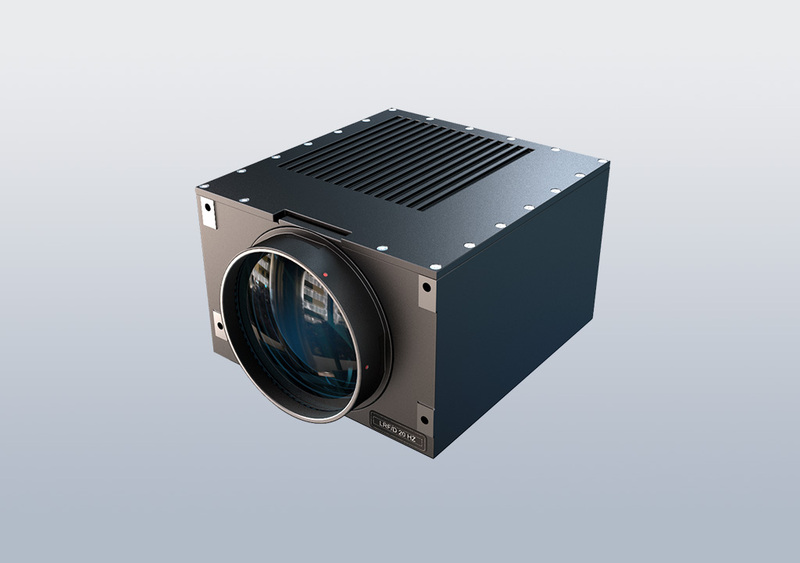 The LDM Product Family completes the line of successful eye-safe Laser Rangefinders designed and produced by Carl Zeiss Optronics GmbH. Never before such a compact and lightweight rangefinder reached a comparable range performance and repetition rate. The LDM Product Family fulfills as independent sensor unit the requirements of modern optronic reconnaissance and target tracking systems that require a high repetition rate of measured ranges from fast moving targets. The LDM Product Family may be adapted optimally and cost-efficiently to a multitude of applications by modification of the performance data and/or the functions. Typical applications are in sensor heads for target acquisition and tracking, fire control, or surveillance platforms. 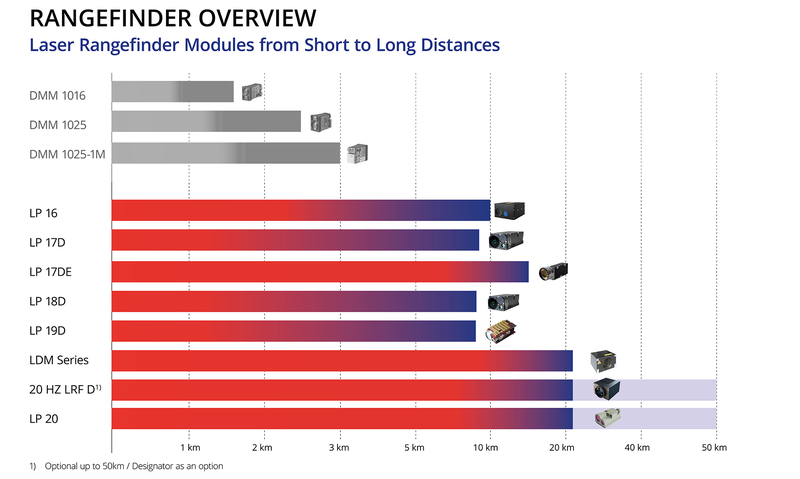 All models share the same coaxial optical interface for ease of system integration. Alignment to a visual sight of the customer is supported by an aim point projector. 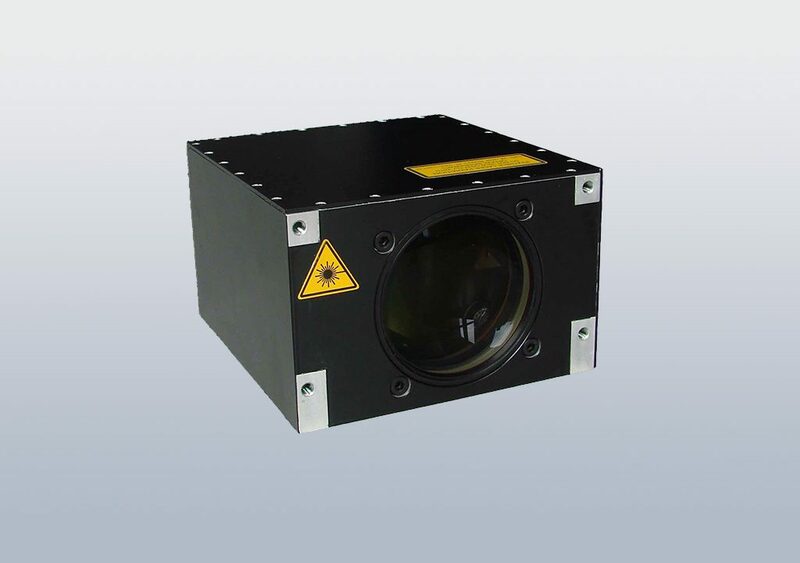 The LDM Product Family consists of laser range finders offering superior performance by the use of an OPO-shifted Nd:YAG Laser at the „eye-safe“ wavelength of 1.5 μm. The models differ in the range performance which is indicated by the first number after the „LDM“ initials, for example LDM 38 indicates an extiction value of ≥ 38 dB. They also differ in the electrical interface. The models with the „-461“ ending use an additional electrical filter circuitry to fulfill electrical requirements for a stand-alone system. The user interface of all LDMs is a serial data interface. There are no controls on any LDM.